Practising Relaxed Breathing serves to reduce physiological arousal and can be an excellent grounding technique. 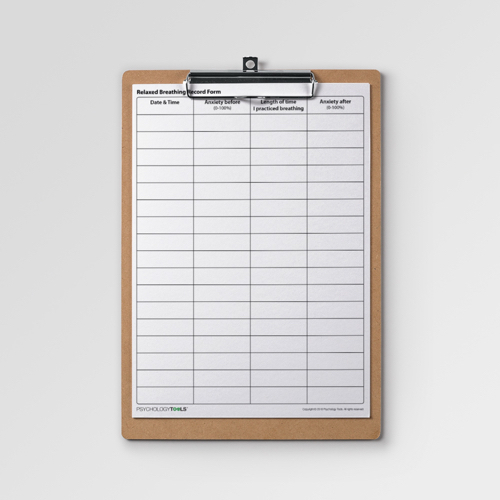 This record form helps clients to monitor their adherence to a relaxed breathing practice. 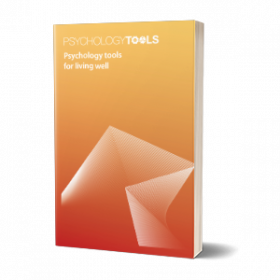 The Relaxed Breathing Record Form is from the book Psychology Tools For Overcoming Panic. Some clients find that relaxed breathing exercises can be a helpful part of treatment for anxiety. 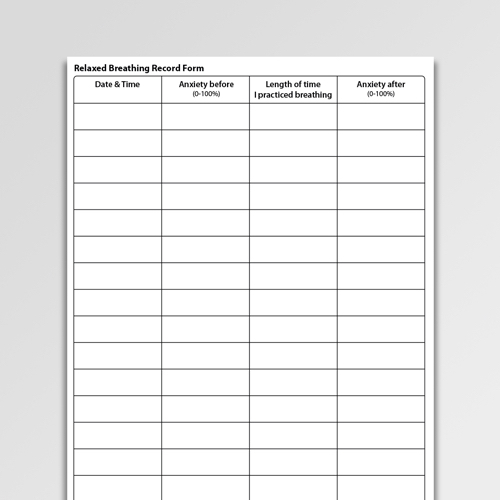 The Relaxed Breathing Record Form encourages you to monitor your relaxed breathing practice, and to record its effects upon how you feel. 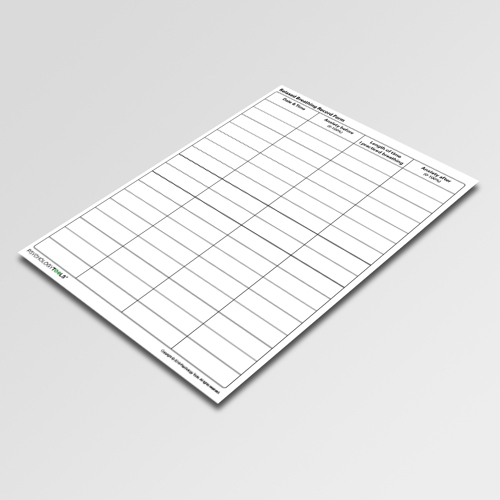 Use this worksheet in combination with the relaxed breathing instruction worksheet. 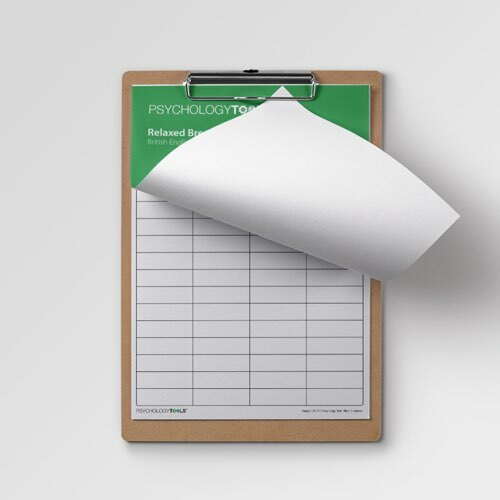 Clients should be encouraged to record their (relaxed, diaphragmatic) breathing practice, noting their subjective rating of anxiety before and afterwards.